Home / Do You Know This Book ? / / Do You Know This Book ? This booklet is for every freethinking and broadminded human being whose goal is to find the truth. We encourage you to read this booklet with an open mind. For a few moments, please set aside your pre—conceived notions and take a critical look at what is presented. It will open before you a new dimension of your role as a human being in this universe. When we want to talk about Islam as a way of life, it is a very difficult task especially in the West because o f several misconceptions and stereotypes that are prevalent about Islam and Muslims. One of the surprising facts for most non-Muslims is that Islam has over 975 million followers all over the world. Islam has a revelation, a holy book, called the Qur’an which was revealed to the prophet Muhammad peace be upon him about fourteen hundred years ago. The Qur’an is the last and final revelation until the end of human existence on earth. When we talk about Islam or Christianity, we should not consider some Muslims ‘ and Christians’ wrongdoing as a way to judge Islam or Christianity. “Thanks to its undisputed authenticity, the text of the Qur’an holds a unique place among the books of Revelation, shared neither by the Old nor the New Testament. In the first two sections of this work, a review was made of the alterations undergone by the Old Testament and the Gospels before they were handed down to us in the form we know today.The same is not true for the Qur’an for the simple reason that It was written down at the time of the prophet”. I have evidence that the Qur’an is a revelation from Allah and this evidence is presented in the next few pages. When the revelation of the Qur’an commenced in 622 A.D., it was a linguistic miracle. The Quran has a challenge in it. The challenge is for anybody to produce some thing like or similar to the Qur’an. Again years passed and nobody was able to successfully meet the challenge. Later the challenge was eased for the second time to produce one Sura like or similar to the Suras in the Qur’an. Since then more than fourteen hundred years have passed, and nobody has been able to meet the challenge, and nobody will, because the Qur’an is the only existing book containing the word of Allah which no man can match or imitate. The most eloquent people in the Arabic language spent years going over and searching the Qur’an, trying to find any weak or Inadequate word or sentence, but they could not. They even went further, trying to find a way to substitute a word or a sentence in the Qur’an, hoping to convey a similar meaning as the original one, but they failed to do so. As a result of this, many people, especially linguists, throughout the last fourteen hundred years believed in the Qur’an as a revelation beyond any human capacity. on earth as a miracle. This is not a valid argument because, there are still millions of people all over the world who have a very good command of the Arabic language and could appreciate the linguistic miracle of the Qur’an But the Quran has something else for the modem ages. Some people have noticed that there are many facts about the science of astronomy, human reproduction and other scientific fields in the Qur’an. It is cited in the Koran, the holy book of the Muslims, that human beings are produced from a mixture of secretions from the male and the female. Several references are made to the creation of a human being from a sperm drop and it is also suggested that the resulting organism settles in the woman like a seed, six days after its beginning. This was part of what. Dr. Moore wrote in his book Later, after more research and study of the Qur’anic terms used to describe the development of the embryo in the mother’s womb and other related descriptions, Dr. Moore found that the Qur’anic terms and statements are amazing in their scientific accuracy. Qur’an and the Hadith. He said in the paper 1 was amazed at the scientific accuracy of these statements (in the Qur’an), which were made in the 7th century A.D. When I searched the Qur’an for verses which refer to scientific facts, I found a large number of such verses. I will try to give as many examples as the space permits. “The heaven, We have built it with power. Verily We are expanding it. The notion of “getting something out of something” does not give rise to any doubts. The phrase can equally mean that every living thing was made of water (as its essential component) or that every living thing originated in water. The two possible meanings are strictly in accordance with scientific data. Life is in fact of aquatic origin and water is the major component of all living cells. Without water, life is not possible. When the possibility of life on another planet is discussed, the first question is always: does it contain a sufficient quantity of water to support life? “From a scientific point of view, physiological notions must be called upon to grasp the meaning of this verse. The substances that ensure the general nutrition of the body come from chemical transformations which occur along the length of the digestive tract. These substances come from the contents of the intestine. On arrival in the intestine at the appropriate stage of chemical transformation, they pass through its wall and towards the systematic circulation. This passage is effected in two ways: either directly, by what are called the ‘lymphatic vessels’, or indirectly, by the portal circulation. This conducts them first to the liver, where they undergo alterations, and from here they then emerge to join the systematic circulation. In this way everything passes through the bloodstream.. The constituents of milk are secreted by the mammary glands. These are nourished, as it were, by the product of food digestion brought to them via the bloodstream. Blood therefore plays the role of collector and conductor of what has been extracted from food, and it brings nutrition to the mammary glands, the producers of milk, as it does to any other organ. Here the initial process which sets everything else in motion is the bringing together of the contents of the intestine and blood, at the level of the intestinal wall itself. This very precise concept is the result of the discoveries made in the chemistry and physiology of the digestive system. It was totally unknown at the time of the Prophet Muhammad and has been understood only in recent times. The discovery of the circulation of the blood, was made by Harvey roughly ten centuries after.The Qur’anic Revelation. The last example I would cite from Dr. Bucaille’s book is what I consider a very interesting one, because this example illustrates where the Qur’an showed the people facts that have not even been discovered without the help of the information given in the Qur’an. This example is about the story of the Pharaoh and Noses which was presented in the Qur’an in more than one Sura. mayest be a sign for those who come after thee’ But verily,many among mankind are heedless of Our signs. This is what the Holy Qur’an said about the story of Moses and the Pharaoh and the sign Allah left for the people who come after the Pharaoh to see who has a revelation from Allah and who does not have. It is always desirable for man to apply himself to the preservation of relics of his history, but here we have something which goes beyond that: it is the material presence of the mummified body of the man. who knew Moses, resisted his pleas,pursued him as he took flight and lost his life in the process. His earthly remains were saved by the Will of God from destruction to become a sign to man, as it is written in the Qur’an. scientifically true; in this Book which was revealed fourteen hundred years ago. Anybody who would like to examine more of these concepts could read the Qur’an and find out for himself or, an interested person could get Dr. Bucaille’s book The Bible The Qur’an and Science, which is available in bookstores and check the accuracy of what he referred to. Not only Dr. Bucaille and Dr. Moore, but many scholars have researched these concepts and a lot of this research was presented on September 23rd, 1985 in the conference which was held in Cairo under the title of The Scientific Concepts in the Qur’an. Several papers were presented at the conference. One of the most interesting papers was from Dr. T.V. persuade, a professor at the University of Manitoba, Canada, about human reproduction. Another interesting paper was presented by Dr. Marshal Johnson Ph.D., the Director of Daniel Baugh Institute, Philadelphia, U.S.A., also about embryology in the Qur’an. Dr. Johnson said at the conference that he started to use the Qur’anic terms in teaching embryology to his students because they were more accurate and easier to learn than the terms in textbooks. accuracy of the statements which had been made in the Qur’an. He had no doubt in his mind that these were not human words because these facts had lust been discovered recently. I would like to quote a Verse from the Qur’an which may sum up the purpose of having these scientific facts in the Quran as signs for the people. What is the Qur’an all about ? The Qur’an is written in beautiful prose that continues to be marvelled by the experts of the Arabic language. But it is not merely a literary masterpiece. The Qur’an contains scientific facts and explanations that fascinate scientists of all fields. But it Is not an encyclopedia of science. So what is Qur’an ? The Qur’an is a revelation from the Creator of this universe to all human beings. Its most important message is the Unity of God – that there is only One Supreme Being who has no partners and is not dependent on anyone or anything. He is the Creator of everything and the whole universe is in His control. He is the only One worthy of being worshipped. It is impossible for the created to fully comprehend the Creator – so the Qur’an makes us aware of Him by mentioning His Attributes. He is the most Merciful, the Loving, the Majestic, the Oft-Forgiving. The name that He has chosen for Himself is Allah. In His infinite mercy, Allah has not left mankind to wander searching for the correct path. He has revealed the Qur’an which includes a code for all people to follow. Islam is not just a set of beliefs. It is a complete way of life which covers all spheres of human activity – the social, economic, political, educational as well as the spiritual. Islam enjoins good manners for every occasion and stresses treating people, particularly relatives and neighbors, with kindness. The family enjoys a high status in Islam – it is viewed as the nucleus of society. Allah has also sent messengers to guide mankind to the truth and to be an example for others to emulate. Stories of these messengers starting from Adam and including those of Noah, Abraham, Moses and Jesus, and ending with Muhammad ( may peace be upon them all ) are found in the Qur’an. This final revelation from Allah to mankind has been safeguarded from any alteration. Since the Qur’an has been preserved in its original Arabic it has not lost any meaning in translation to another language. 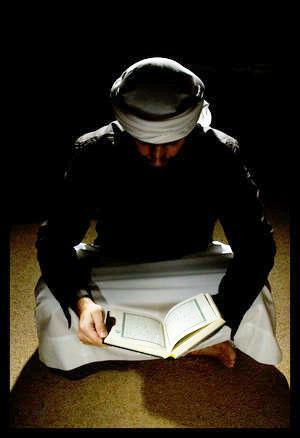 Millions of people from all parts of the world have memorized the complete Qur’an. So even if all printed copies of the Qur’an were destroyed it would continue to live in the hearts of these people. Mankind has been guided at various times by the messengers of Allah of whom the most prominent were Noah, Abraham, Moses, Jesus and Muhammad. The final message was sent to the last prophet Muhammad (PBUH), which replaces all previous messages. None of the prophets claimed to be god or part-god – they were human and were obedient to Allah. Jazaak Allah Khair for reading.